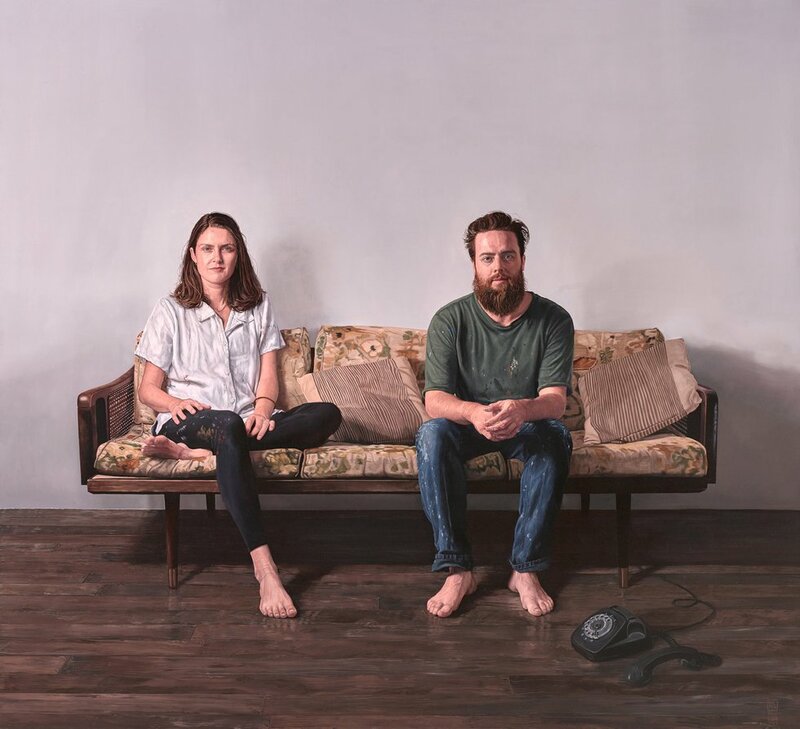 Married couple James Drinkwater and Lottie Consalvo are both artists. James is a finalist in this year’s Wynne Prize. ‘It’s impossible not to be completely charmed by them both. There appears a genuine joy in their independent togetherness and a very pleasing asymmetry in James’s frenetic energy and Lottie’s unruffled calm,’ says Jonathan Dalton. ‘I sought to capture something of that feeling, but to also introduce an element of theatricality. I subtly shifted the portrait onto a stage, stripping back their living room to a bare set, with their much-loved couch essentially becoming a prop,’ he says. Dalton was born in Dublin, Ireland in 1977, where he got his art degree. In 2009, he won the prestigious portrait award from the Royal Hibernian Academy. He moved to Australia in 2013 from Barcelona, Spain, where he had lived for four years. This is his first time in the Archibald Prize.